It is that time of year again! Halloween is just around the corner! So we thought we would search the interwebs for the best 2018 Golf Halloween Costumes to get everyone in the golfin’ Halloween spirit. 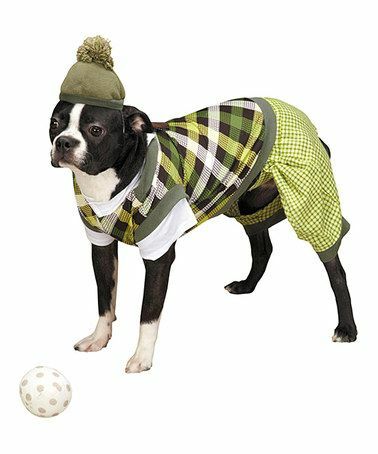 There are golf themed Halloween costume ideas for everyone in the family from the kids to the parents to the golfin’ family pets! 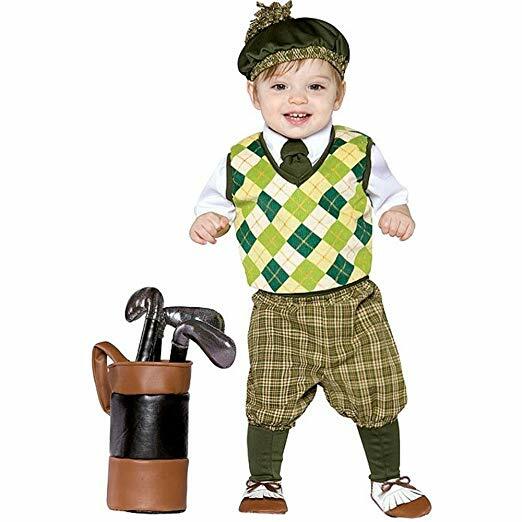 We are going to start off with a John Daly inspired golf costume for your favorite golfin’ kid. 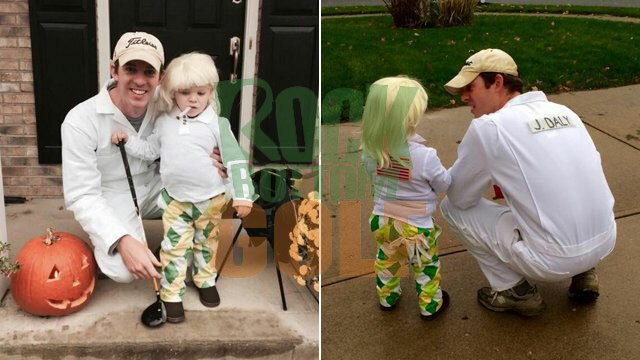 It has become a RockBottomGolf tradition that we share the John Daly mini-me costume each year at Halloween. But it IS just that good! OK, I’m pretty sure this goes up to 110% on the cuteness meter. If you can’t do the John Daly costume above, this is perhaps the next best thing. 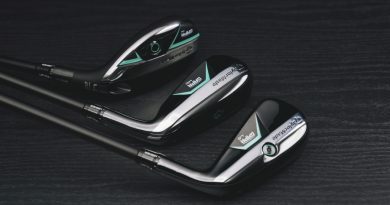 And look, it even comes with a golf bag and clubs. I am pretty certain the clubs can be ditched in a “my candy bag is overflowing and I need another” emergency. Dress up exactly as your little golfin’ buddy this Halloween! What could be cuter? And with cuteness comes more candy from your trick-or-treating. Trust me, there is a direct 1-to-1 correlation between cuteness and Halloween candy haul goodness. Compound the cuteness factor by dressing your 4-legged kids in a costume as well. Remember, the higher the cuteness, the greater the Halloween candy haul. Your pet can’t eat the candy, but I bet they will still have the time of their lives getting dressed up for the Halloween festivities. I don’t know how practical this would be on the course, but I think it will do perfectly as a golfin’ Halloween costume for a variety of Halloween festivities. 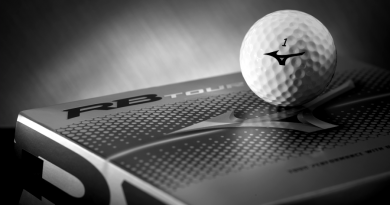 Are both you and your partner into the golfin’ lifestyle? 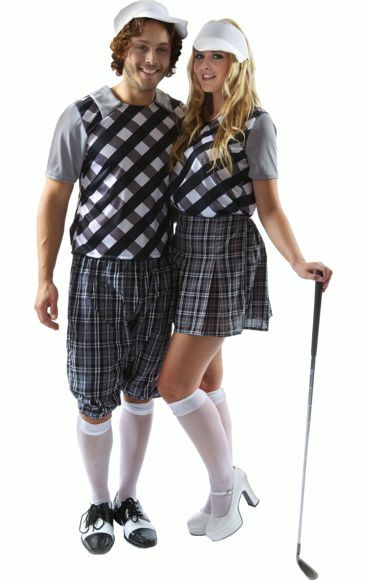 Dress up together in some golf twins themed Halloween outfits. Y’all will be the talk of the Halloween party. Some are getting even more creative and incorporating golf injuries into their Halloween golfin’ costumes. Why just stop at looking like a golfer when you can look like a seasoned pla… I mean, injured golfer. Need even MORE Golf Halloween Costume Ideas? Here are a few from our archives! 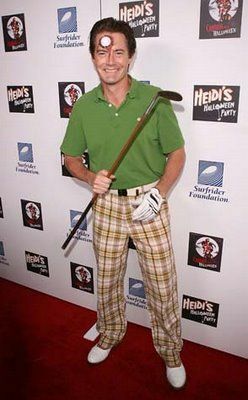 The Top 8 Halloween Costumes For Golfers! The BEST Halloween Costumes For Golfers! 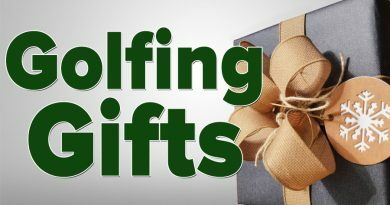 Best 2018 Golfin’ Stocking Stuffers! 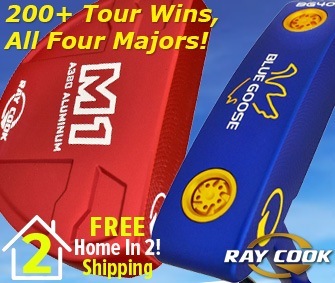 Enter to WIN a FREE 2017 TaylorMade M2 Driver!